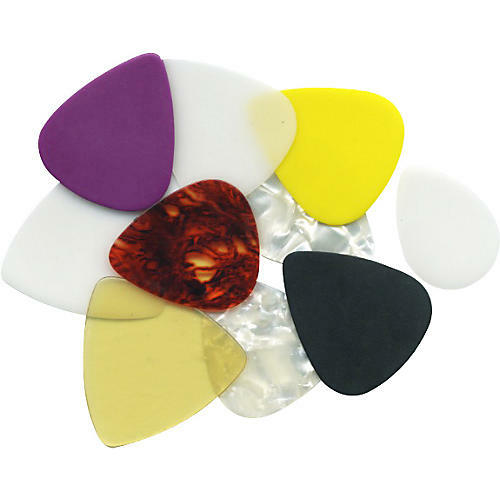 A mixed bunch of picks to fit a mixed bunch of musicians. Each box of Garage Band picks contains 10+ mixed picks to give you a variety of gauges, colors, and shapes to choose from. Every guitarist is sure to find a Clayton guitar pick they love in this pack. The picks are made from high-quality, durable materials to ensure a long life. Can't pick a pick? Now you don't have to...grab a few pick packs and save big!